People approach your house in one of only two ways: either they drive up or they walk up. And if they drive up, they still walk to the door. How will you make that approach both welcoming and personal? If you’re ready to make some changes, and are not sensitive to criticism, try asking friends what they think about your entryway. 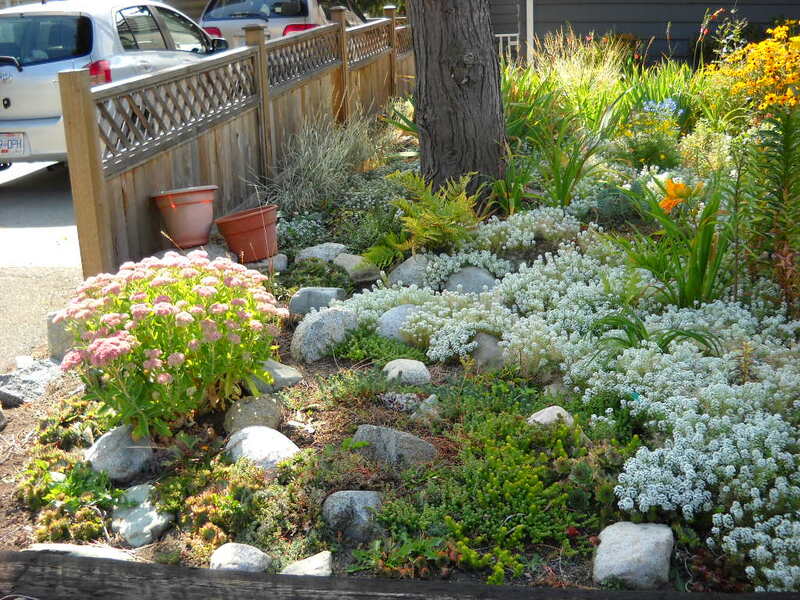 Many homes were landscaped by the builder with foundation shrubs that soon outgrow the space allocated to them. 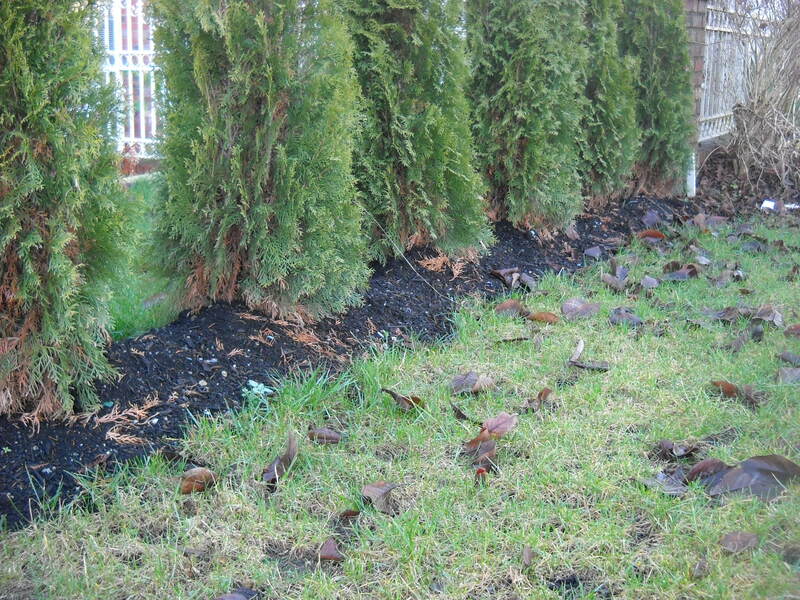 As a result there will be large-to-huge shrubs/trees competing for space with you and your guests around the front door. 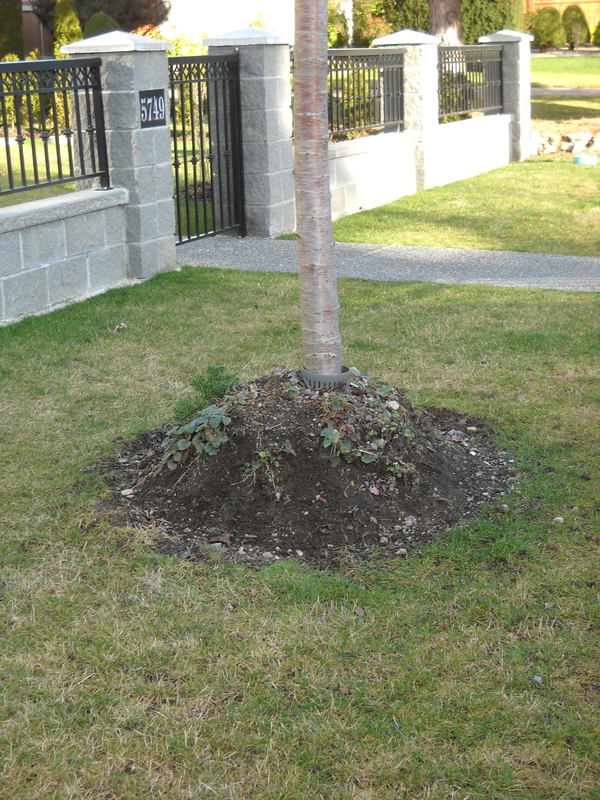 This may take more remediation that just a little pruning. 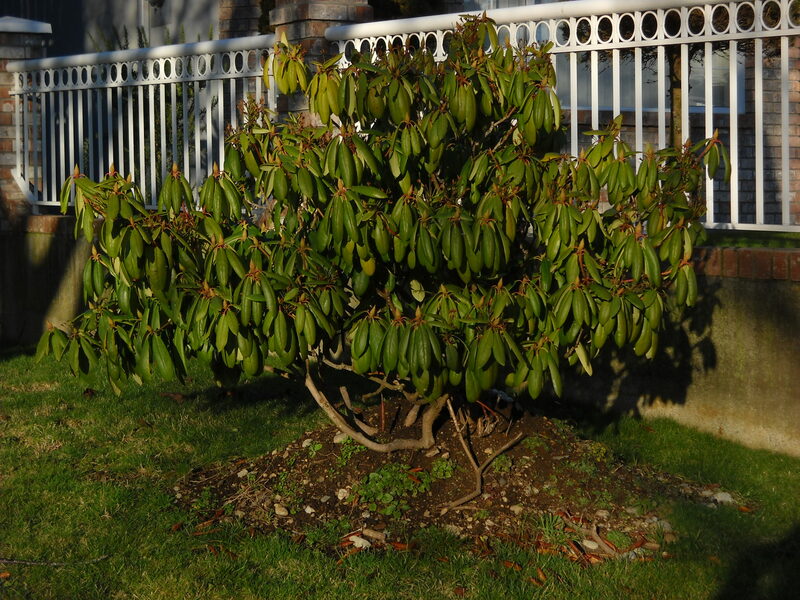 Most Rhodos are pretty tolerant of moving. 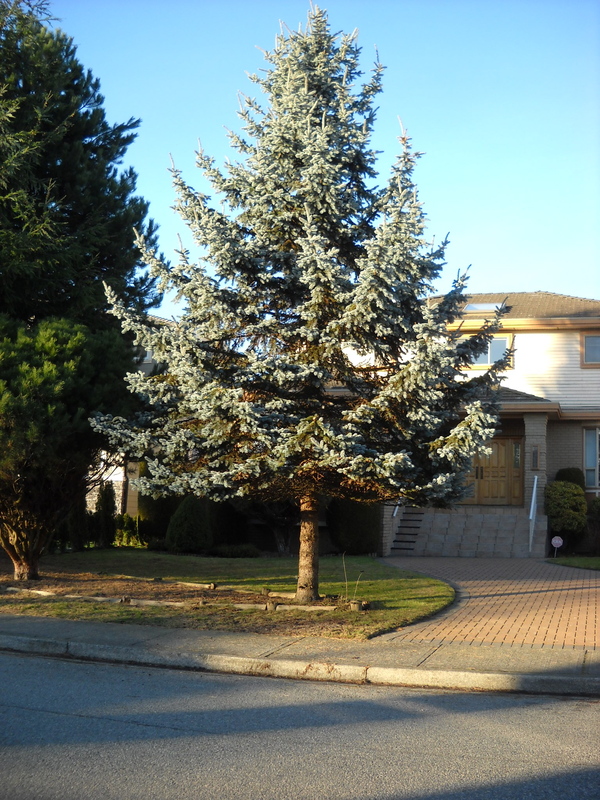 The cedar desperately needs “limbing up”. This tends to make the site feel quite oppressive, and you may remember as I do the fear of walking into spider webs strung from one shrub to another across the walkway. 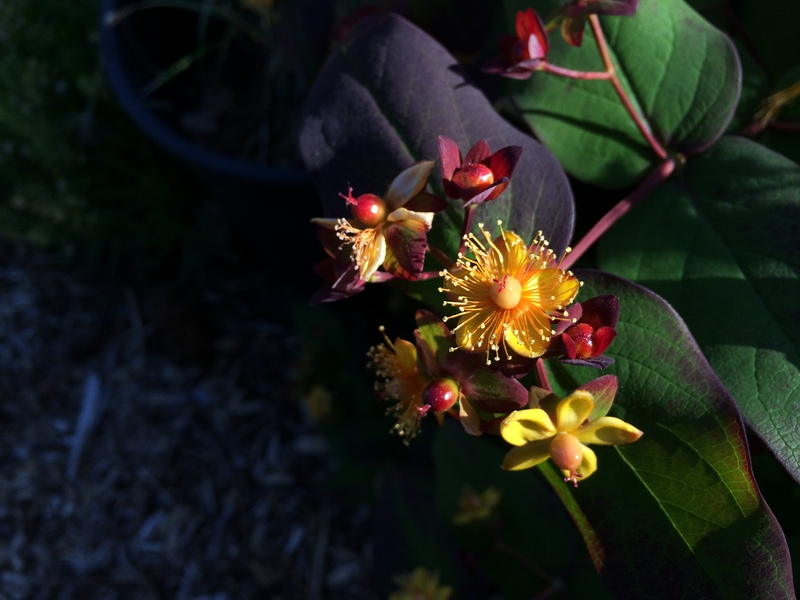 You may be able to prune that shrub back to a shadow of its former self, but there’s a good chance that before long it will have grown back, and even larger than it was at first. 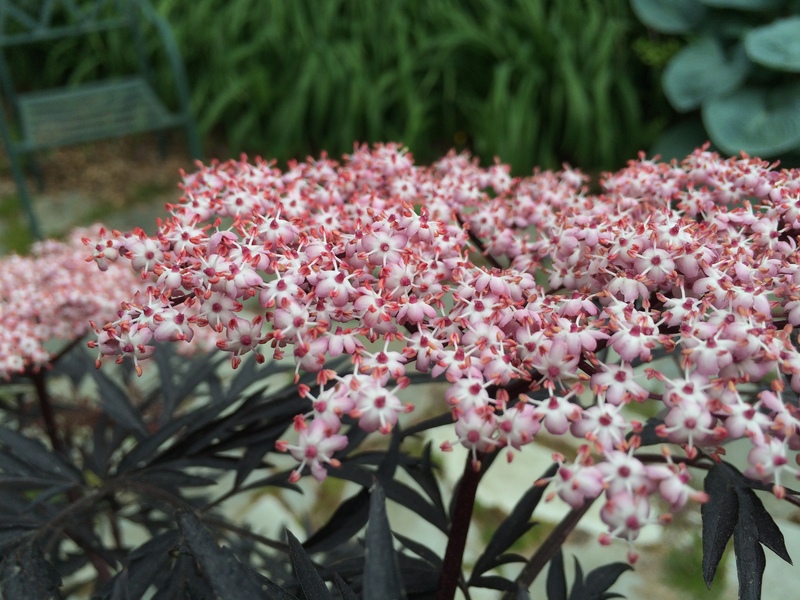 When you look at websites to check the mature size of chosen plants, you can safely add 20-50% to the height they give. 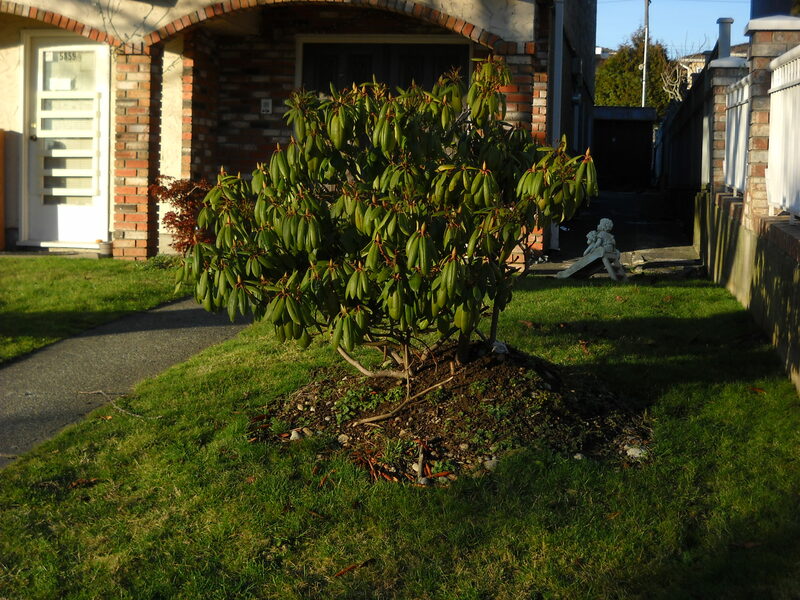 That rhodo that was planted 10 years ago, and still looked perfect 5 years ago, is now fighting you when you walk up the stairs to the front door. 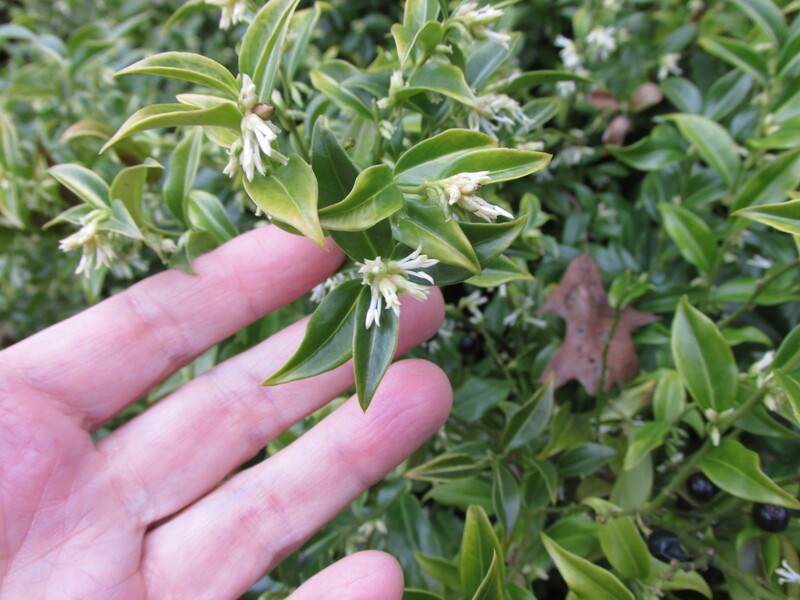 The pyracantha (thornbush) practically takes an eye out when you walk on the path, so you have to skirt it to escape serious injury. You’ve begun to grow accustomed to all the little idiosyncrasies of your site, but your guests aren’t so fortunate. 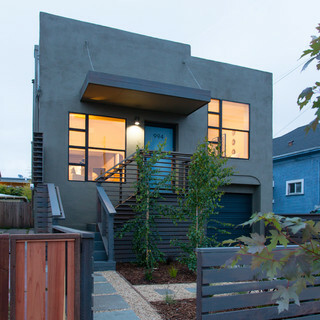 I love this Houzz picture of a house in San Francisco, but can you see what will happen to those birches in 5 years’ time? How wide is wide enough? Two people should be able to walk/stand side-by-side (not clutching each other). 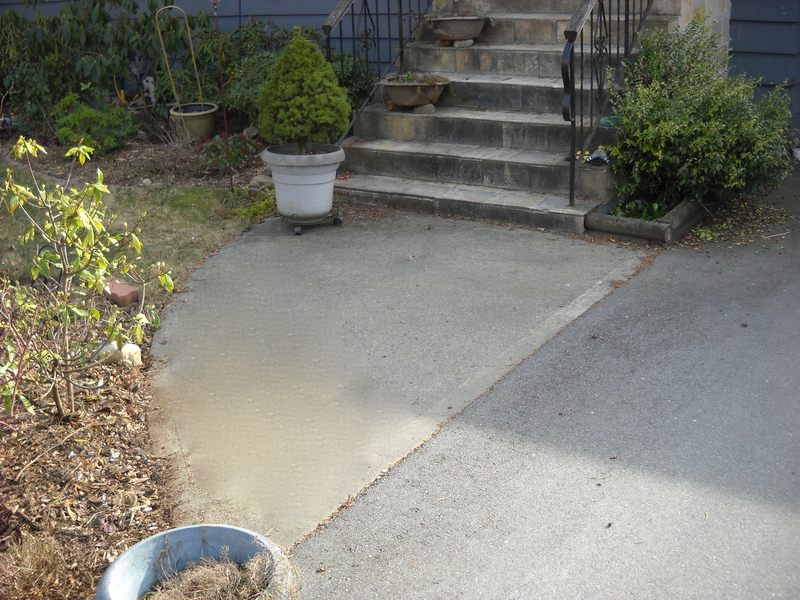 The path to the front door should be no narrower than 4′, and the landing deep enough for two to stand at the door and not be knocked off the step when the door (3′) is opened. 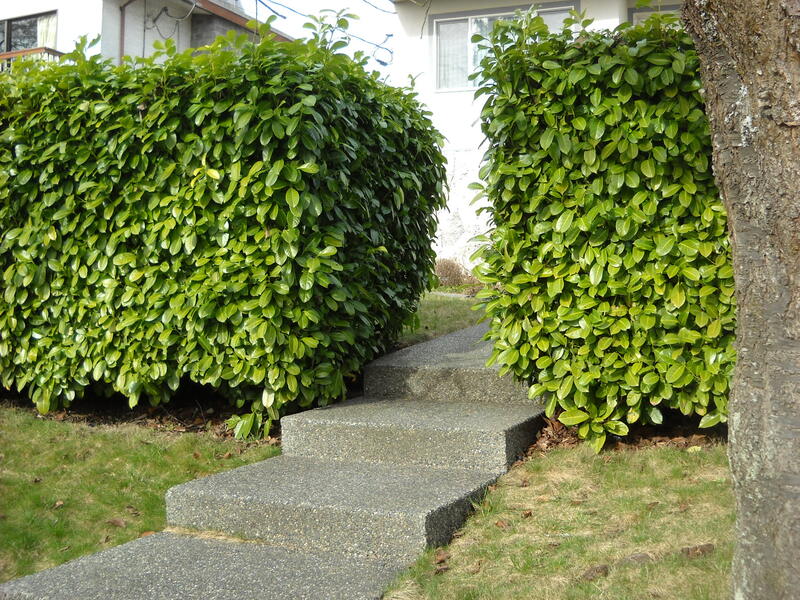 Not only is this concrete walkway too narrow, the depth of the laurel hedge is a good 4′. 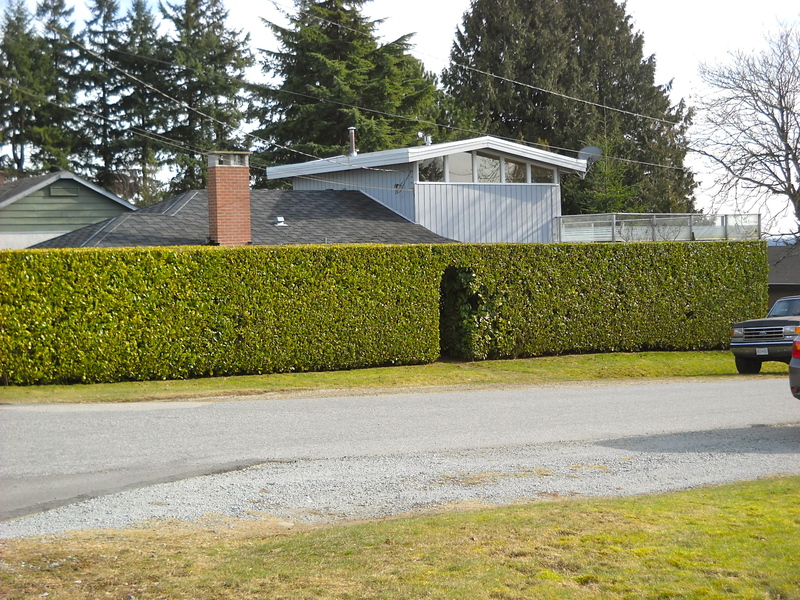 There are better ways to plant a hedge. How do you get from the street to the front door? How do you get from the car to the front door? Is the front door the door that most people will commonly use? 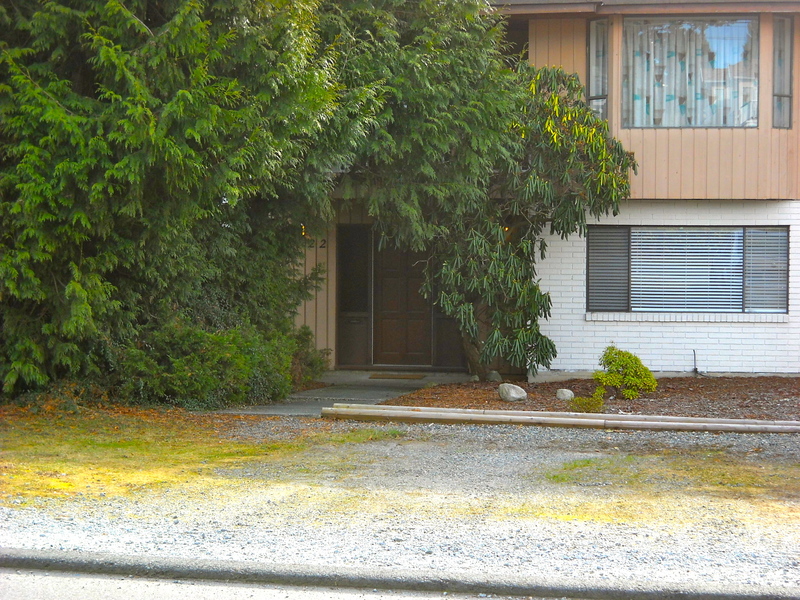 Is there another route to the front door that may be/should be/shouldn’t be/isn’t being used? How would you like to correct this circulation? The main things here are making the walk from “somewhere” to the house entrance obvious and exclusive, and unless your house is architecturally formal, don’t use straight lines to do it. 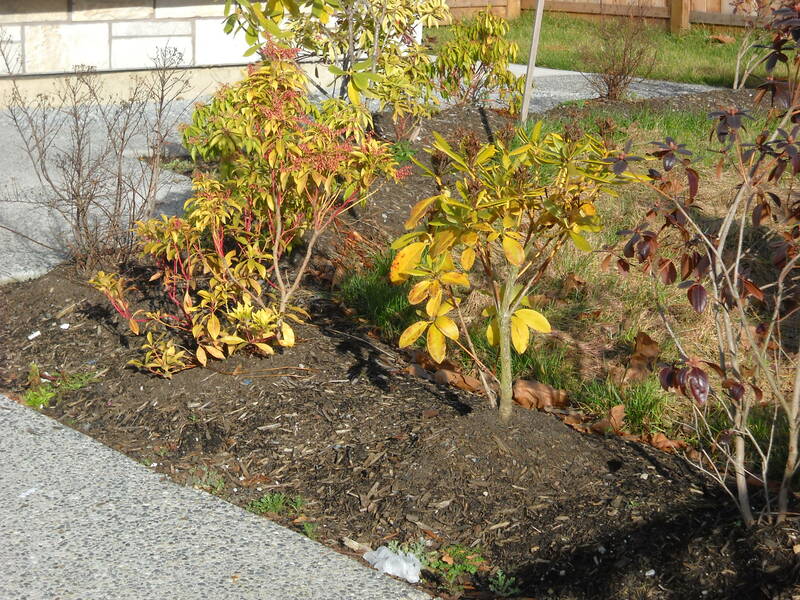 You might line the edges of a concrete pathway with little low shrubs or ornamental grasses, creating a mini “allee”. 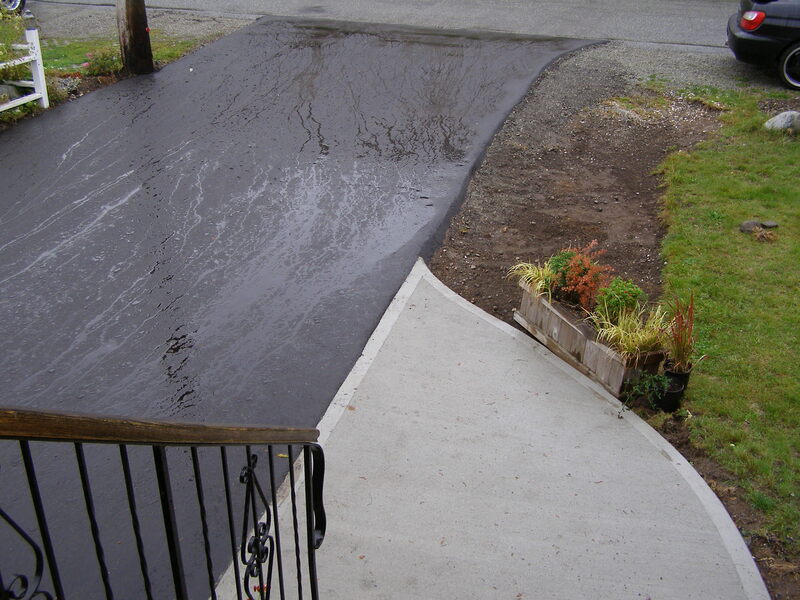 If there isn’t a clear convenient connection between the driveway and the front entrance, make one, and preferably make it similar to or the same as whatever other pathways exist–they fulfill the same function, so should look like they do. Still at least 4′ wide. My own front door is almost at the east edge of the house, only 3′ from the edge of the driveway. So the path up to the front door is in fact the driveway. But I added a little swoosh of a concrete pad to connect the two. Today. Winter. Had to edit out some of the winter mess. No one wants to feel like they’re living in a fishbowl, but that doesn’t mean you have to erect some kind of barrier all around the perimeter. 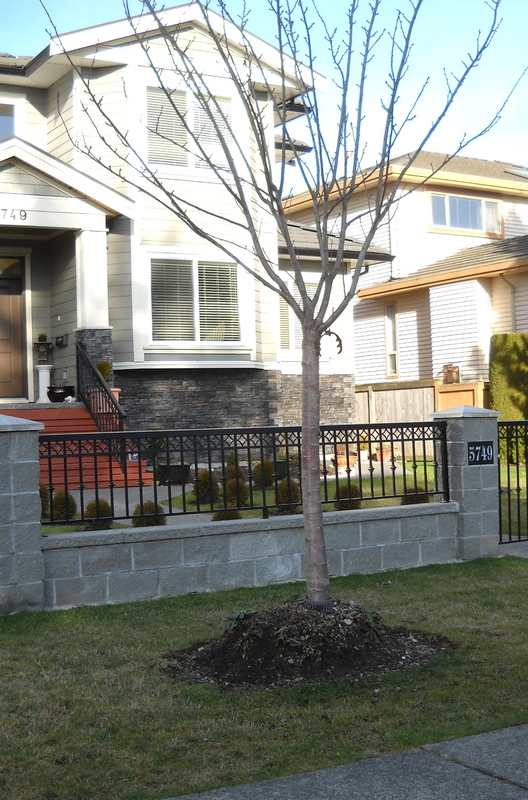 If the only open space in fence or hedge to enter the property is the front walk or the driveway, you might as well post a sign saying KEEP OUT (in upper case). 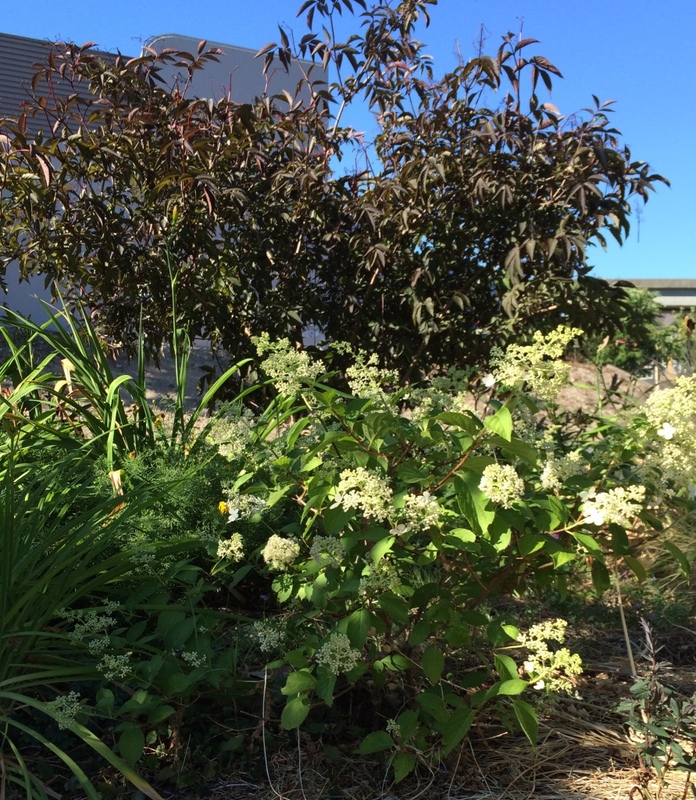 On the other hand, shorter shrubs, below eye level, or deciduous shrubs that are only dense half the year, give a sense of privacy without completely blocking the view in or out. Tall-ish grasses will serve in the same way. Be judicious about lighting. It should serve a function, or it’s just light pollution. Or “garden art”. 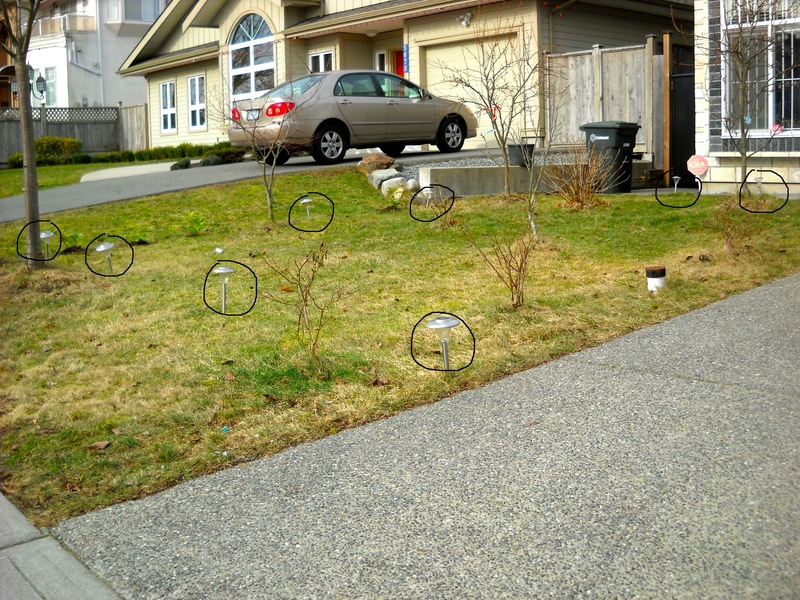 This front yard is lined with gratuitous solar lights. In fact, here in coastal BC, we seldom have enough sunlight to make these tiny solar panels work. Not sure what the point of the lights are in this yard. Lights for your entryway should be shining down onto the walkway and steps for safety purposes. Lights that shine upwards not only don’t do what they’re there for, but they are blinding to the people walking beside them. Landscape lighting has a different function; some focused spotlights will shine up into trees for dramatic effect, but we still need to be conscious of overuse. For the front door, a motion sensor light that has two phases (very low light for security, and brighter to guide you or your guests to the door) is a great idea, as long as the brighter phase isn’t blindingly bright–as mine is. 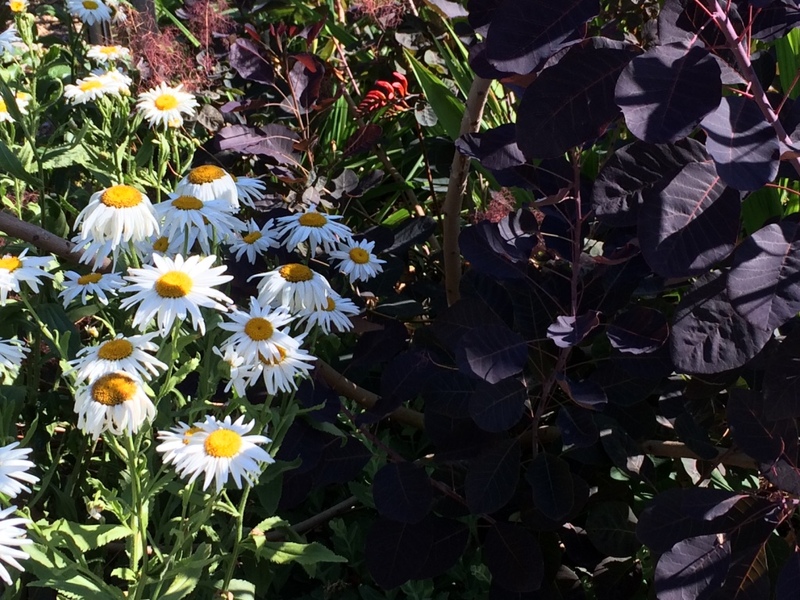 Create Your Welcoming Entryway: Five quick fixes will make a big difference to your visitors’ “first impression”. How many of these can you see yourself implementing? As always, love you hear your comments, happy to answer your questions. Click on Follow. Like on Facebook.